Robert Smithton, Duke of Roseford is known for his lusty appetites and his cold, cold heart. Still thanks to his title and his fortune, everyone wants him and he’s bored of it all. He wants something, but he cannot place what exactly that is. Until he meets Katherine, the Countess of Gainsworth. Married for six months to an old man who died when they were making love, Katherine is just returning to Society. Although scandal follows her, so does interest, as the men of Society wonder about her prowess if it could kill a man. When Robert begins to pursue her, she is horrified. After all, she blames him for the circumstances that sent her into her loveless marriage in the first place. When Katherine ignores him, Robert only pushes harder and ultimately she begins to wonder if revenge is a dish best served through desire. What she finds when she touches him at last is pleasure unlike any she’s ever known, and a connection she does not wish to feel. Now she must decide if she wants revenge or happiness and Robert must determine if love is worth fighting for. Can you believe we are on book 9 and we have only one more book left in what has been a fabulous series. In this book we are following Robert and Katherine. After a year of mourning and let the shock of how her husband died, Katherine made the decision to enter back into society...but this time she is different to how she used to be, this time she doesn't have to listen to her father, much to his annoyance. This time Katherine is a lot stronger and through the help of the Duchesses she is made aware of a wager. Robert is a rake and a rogue, and yes I did love him, he was so charming...but underneath I found that he is so frightened of having his heart broken, that he shy's away from relationships. That is until he sees Katherine and makes a silly wager with one of his so called friends, not the Dukes...but some other rogues. 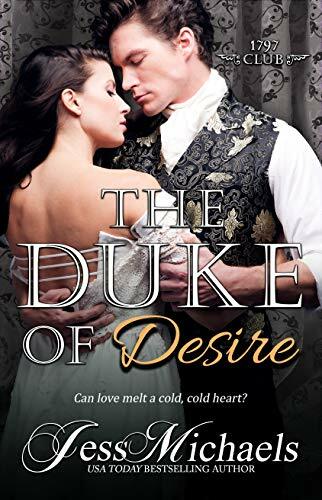 Overall this book is a great read and it was great to have the Dukes and Duchesses in the book and you just know that these friendships are going to last a lifetime. And for this reason I give this book 5/5 stars. The book is on pre-order and is available to buy from 18th September at Amazon UK and all other retailers.